Get notified when CMA Music Festival tickets are available! The four-day music festival championing country music is held every June. 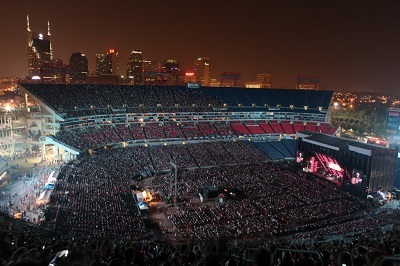 Since its inception in 1972, the festival has been organized by the Country Music Association in Nashville, Tennessee. What started as Fan Fair is now one of the most sought after music festivals on the calendar featuring more than four hundred artists. The event records an audience of more than quarter of a million and from around the world. Autograph sessions with celebrities, meet and greet with artists and fan clubs organizing their own get-togethers are some of the highlights of the event in addition to the gems of country music onstage. Get your CMA Fest tickets today and see the festival this year for yourself!